Today we will discuss about types of brakes. The brake is one of the most important controlling component of vehicle. We have heard about drum brake and disk brake. Drum brake is widely used in the automobile. The brakes are required for stop the vehicle within the smallest possible distance or to slow down the vehicle when we needed. Without the brakes we cannot control the vehicle speed so it is the most important system in automobiles.All brakes are working on same principle by converting the kinetic energy of the vehicle into the heat energy which is dissipated into the automobile. There are two most important requirement of brakes as follow. 1. The brake must be enough strong to stop the vehicle within a minimum distance in an emergency with safety. The driver should have total control over vehicle during emergency braking and the vehicle must not skid. 2. With prolonged application of brake their effectiveness should not be decreases. These characteristics called antifade characteristics. 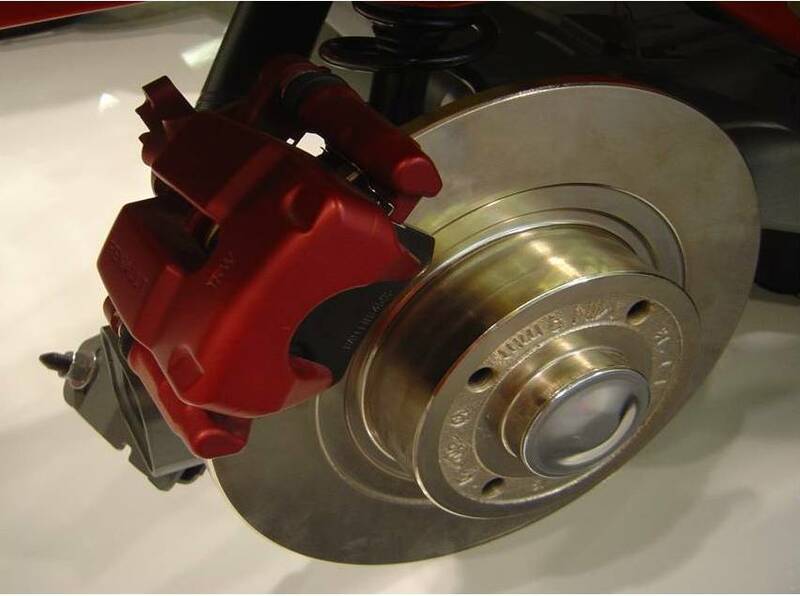 Brakes is one of the most important element of automobile. There are many types of brakes available in automobile industries. Theses are primary brake, Secondary brakes, vacuum brake, air brake, disk brake, drum brake etc.The classification of brakes are as follow. This brake is used when the vehicle is in running condition to stop or slow down the vehicle. 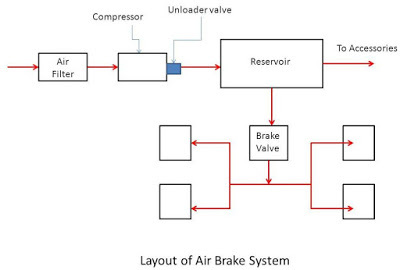 This is the main braking system, which is situated in both rear and front wheels of the vehicle. Secondary brakes, which is also known as parking brake or emergency brake , are used to keep the vehicle stationary. It is generally operated by hand, so also known as hand brake. The main function of this brake, is to keep the vehicle stationary when it is parked. In this type of brakes a drum is attached to the axle hub whereas on the axle casing is mounted a back plate. The back plate is made of pressed steal sheet. It provide support for the expander, anchor and brake shoes. It also protect the drum and shoe assembly from mud and dust. It also known as the torque plate because it absorbed the complete torque reaction of the shoe. Two brake shoe is mounted on back plate with friction linnings. On or two retractor spring are used to seprate brake shoe from drum when the brakes are not applied. 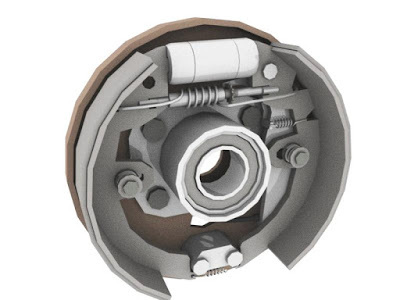 The brake shoe are anchored at one end, whereas on the other ends force is applied by means of some brake actuating mechanism which forces the brake shoe against the revolving drum, so the friction force is generated between drum and the shoe and brake applied. An adjuster is also provided to compensate for wear of friction lining with use. This brakes are widely used in motorcycle and the cars. Disk brake consists of a cast iron disc bolted to the wheel hub and a stationary housing called caliper. The caliper is connected to some stationary part of the vehicle and it cast in two parts, each part containing a piston. In between each piston and the disc there is a friction pad held in position by retaining pins, springs plates etc. There are arrangements in the caliper for the fluid to enter or leave each housing. There passages are also connected to another one for bleeding. Each cylinder contains a rubber sealing ring between the cylinder and the piston. 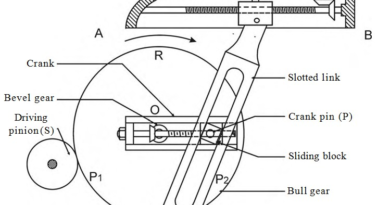 When the brakes are applied, hydraulically actuated piston move the friction pads into contact with the disc, applying equal and opposite forces on the later. On releasing the brakes, the rubber sealing rings act as return springs and retract the pistons and the friction pads away from the disc. In this brakes the brake force is applied mechanically used where we needed small force to braking. This brakes are used in the small vehicle such as in scooters, bikes etc where small braking force is needed. In the hydraulic brakes, brake force is applied by the hydraulic oil. It is one of the most useful and reliable braking system. This brakes is used in most of passenger cars. In this braking system magnetic effect of electricity is used to applied the braking force. The braking piston and the disk are connected to the electricity. When we want to apply brake, we start the electricity, which create magnetic effect between brake pad and the disk. So the brake is applied. 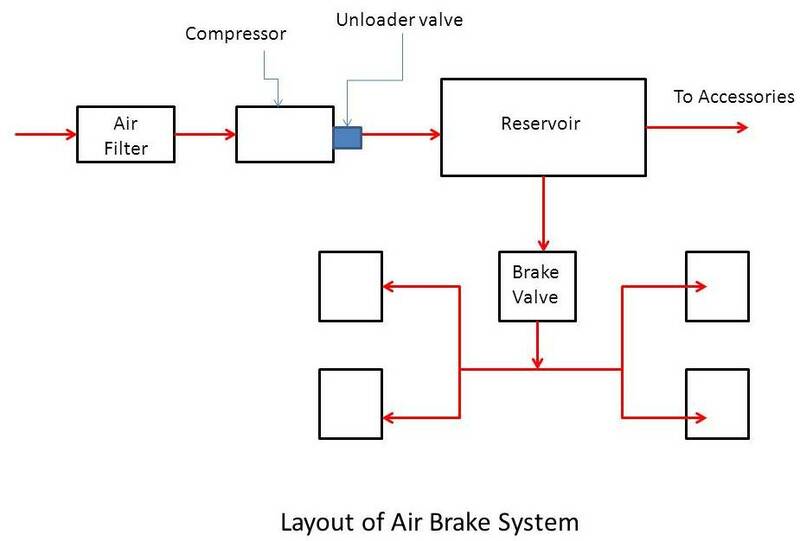 In the air brakes, air pressure is used to the generate the braking force. This braking system is used in heavy load vehicle i.e. trucks, bus etc. These brakes used vacuum to apply the force on brake pads. This is the one of the most powerful braking system. This brake is used in the big and heavy vehicle i.e. train, heavy ships etc. Today we have discussed about types of brakes. If you have any query ask by commenting. If you like this post, don’t forgot to share it. Thanks for reading it.